Motley’s Eoin McSweeney speaks to Sharon Hutchinson, creator of sportswomen.ie, about the lack of sporting media coverage for women. The Russian had her hand raised to the sky, defiant and brash, her gaze locked on the boisterous crowd in front her. Katie Taylor stands on the other side of the referee, exhausted and sweating, but defeated? No. After an anxious wait, the referee raises the winning fighter’s hand and Taylor slumps to her knees in victorious relief, her fingers pointing to the heavens in thanks. Katie Taylor’s victory in the 2012 Olympics allowed her to join a pantheon of great Irish sportswomen that includes the likes of Sonia O’Sullivan, Valerie Mulcahy and Niamh Briggs. Ireland is a country where both male and female participants excel on the world’s sporting stage despite the size of its population and we are just as proud when our female sporting heroes succeed. However, while 40% of all sports participants are female, they receive only 4% of all media coverage. Recently, sportswomen.ie has been created, a website that aims to promote and report on women’s sport in Ireland at Senior and International level. Motley Magazine met with the website’s creator, Sharon Hutchinson, a former international hockey goalkeeper, to discuss the lack of media coverage for women in sport. Many will make the argument that women’s sport just isn’t entertaining enough. Men are naturally stronger, faster and fitter and so it could be said that they are far more exciting to watch. People watch sport because it is purely a physical spectacle and you get to watch someone do what 99.9% of the rest of the population can’t. However, Ms. Hutchinson disagrees with that view. Tennis is one of the few sports where men and women are paid the same. Serena Williams won the 2014 US Open and picked up $3,000,000 in prize money, the same as the male winner, Marin Čilić and Wimbledon was the last tennis major to introduce equal prize money in 2007. It was a long and difficult battle, stretching back to the tennis great Billie Jean King and her ‘battle of the sexes’ match with Bobby Riggs. Roger Federer is the male equivalent of Williams in men’s tennis, each being modern tennis legends. However, despite being awarded the same prize money, Federer earns roughly $70,000,000 in a year, the majority of which is endorsements, while Williams gets only $11,000,000 from the same source of income. Even the most commercially successful female player, Maria Sharapova, earns much less than Federer. Due to deals with Nike, Motorola, Canon and a whole host of other companies, she nets $22,000,000 a year, making her the highest earning female athlete in the world, but many lay claim that this is down to her good looks as much as her sporting ability. Female tennis star Eugenie Bouchard was asked by Ian Cohen to ‘do a little twirl’ after one of her victories at the Australian Open this year. Many thought that the reporter’s request was demeaning to women’s sport and the fact that some of the interview centred around her fashion style, rather than her sporting ability, gave weight to the fact that some people just watch women’s tennis for the ‘pretty girls.’ It’s no wonder that there is a disparity in the players’ earnings when the media will not take the female stars seriously. There are a number of reasons for this disparity in pay. Firstly, women’s matches in major tournaments are shorter as they only play three sets as opposed to five. Secondly, men’s tennis has more viewers at the moment, with the likes of Federer, Djokovic and Nadal lighting up the game. Finally, because it’s seen as traditionally more likely that men are going to know who these athletes are, it makes more commercial sense to have male sports stars promote companies such as Gillette and Lynx. Tennis is the sport that comes closest to having equal pay for both men and women. In a BBC Sport survey, it was found that male athletes are awarded more prize money than their female counterparts in 30% of sports. But is this really unfair? Usain Bolt gets paid far more than Mo Farah, but that’s because they don’t compete against each other, just like Williams doesn’t compete against Federer. In fact, he competes at a much higher level, which was shown by Karsten Braasch, a former male professional who was ranked at 203 in the world, after he beat both William’s sisters in Australia on the same day in 1998, 6-1 and 6-2. Ms Hutchinson discussed this at length. The standard of women’s sport in Ireland has greatly improved over the last number of years. Sonia O’Sullivan and Michelle Smith were stars of the 90’s, and Katie Taylor has epitomised the Irish sport on the world stage on numerous occasions. In terms of team sports, the Irish ladies rugby team was phenomenal in 2013 and 2014, winning a maiden grand slam before defeating New Zealand at the world cup and reaching the semi-finals. With childhood obesity a growing problem in Ireland, it’s more important than ever to ensure that girls are participating in sport from a young age. For this to happen there needs to be role models, and some of the stars mentioned earlier are helping parents get their children more involved in sport. However, they are competing with the achievements of men, and even though the rugby ladies were the first Irish team to beat the All Blacks since Munster in 1978 and Briege Corkery has won more All-Irelands than Henry Shefflin, it is still an uphill struggle. Many experts believe that an active lifestyle can help with mental health problems, and both Conor Cusack and Niall Breslin used sport as a way of coping with their difficulties. When you exercise, your body releases endorphins which react with receptors in the brain to put you in a good mood and they also trigger a positive feeling in your body, much like morphine. Exercise also boosts your energy by strengthening your heart and lungs. Sportswomen.ie is aimed at improving the coverage given to women competing in Ireland. It posts regular updates on news of the female sporting arena and provides excellent coverage of the various athletes from Ireland competing worldwide. Ms Hutchinson’s goal is to have more women in sporting media, so that there would be a greater number of female role models for the youth of Ireland and in turn it may help to reduce the exodus of teenage girls from sport and exercise. 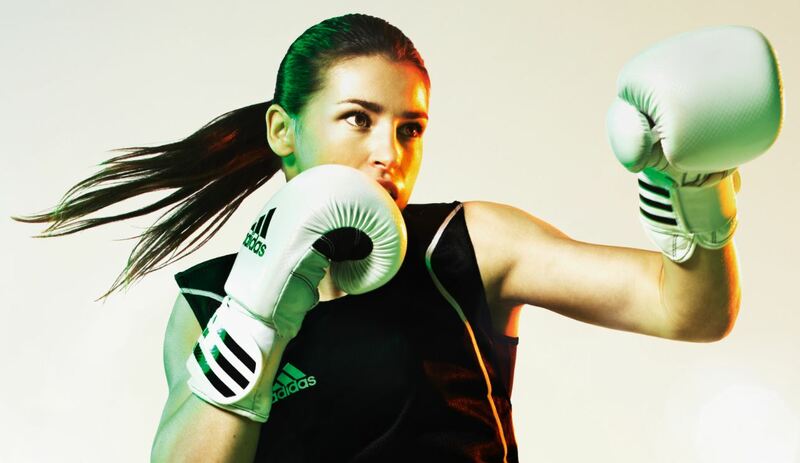 Katie Taylor is now a role model for young girls across Ireland, but what if she wasn’t a media darling? It’s unlikely that there would be such an aura around her and many teenagers would never have heard of her. It’s important that the achievements of Irish women in the sporting arena are recognised so that a new generation can be inspired.